To showcase our product on-the-move, we have built four Miatas. 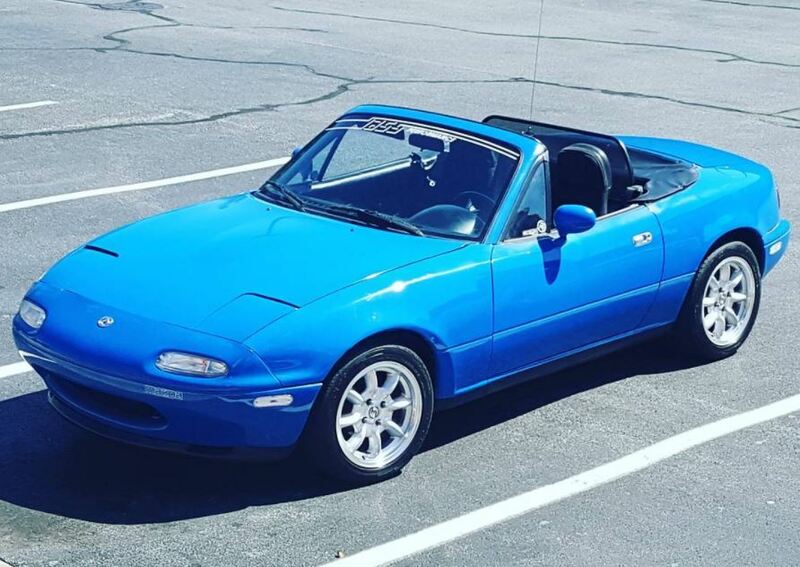 Our lifted Miata (top left) is sponsored by I.L. Motorsport, GmbH. They are a German-based company and racing team. Their high performance products power this build. The lift comes from a 3-inch lift kit, adjustable upper control arms, and energy suspension control arm bushings–all from Paco Motorsports. 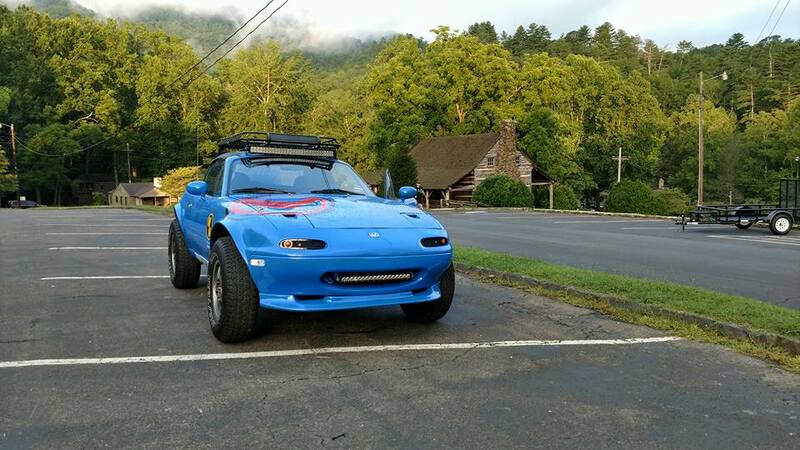 Their Offroadster has created a new trend of lifting–instead of lowering–Miatas. This build is a Mariner Blue NA (above) sponsored by Jass Performance. The Bulgarian company has a variety of products, both retro and modern. Recently, we acquired an LE Miata. So far, we have replaced the engine and repainted it a black metallic cherry. The red interior has been revived and is gorgeous! Because our NB cluster is in development, we decided to add an NB to the family (bottom left). The stock red paint has been replaced with a custom color, a deep metallic red that echoes the stock ND color, Soul Red.